As the school year was coming to a close, and my students are going to be college next year, I wanted to give my best students a gift to remember me by. At first, I thought of giving them something that is classy, like a stuffed toy or a souvenir figurine. But I realized that though they still act like children, these kids would not like these kinds of gifts anymore. Books were also a good option, but I do not know what kind of books they prefer and I might end up buying books that they will never read. These kids would want something more useful. Something that they can use all the time. And it has to be something that can be useful in school as well. 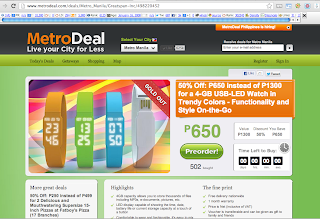 I was running out of thoughts when I saw this discount coupon in Metrodeal for an LED Watch. 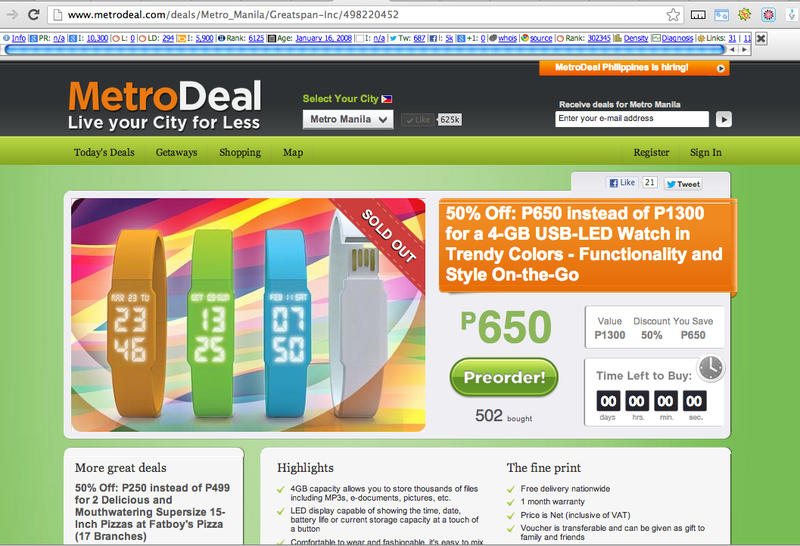 Though the watch is a practical item, what really caught my attention was how the watch was also a 4 GB USB flash drive. This is something that is really practical and convenient especially for students. My students often complain to me about forgetting their flash drives losing them. Sometimes they even argue with each other because their document or report is saved in that missing USB drive. Because this is a watch, it will be easy to miss in case that it gets left in a computer unit when reporting or in a net shop when printing documents. And since it has a 4GB capacity, they will be able to save a lot of their files, from big presentations to small documents, and even music and photos. I’m sure they’d have a lot of files to save when they go to college that is why I know they will appreciate this gift. I ordered 4 of these immediately, one for me and three for my top three students in class. And since I used the Metrodeal voucher, I only paid P2600 for all four. My students might not have made it as salutatorian or valedictorian. They still did their best even though might not have graduated with the highest honors and for that, deserves a reward for their hard work. I know that they will strive to do their best in college, and hopefully, I will get to see them soar high in their chosen career path in the future. ** Check out MetroDeal for more offers!